Vacation in a Box - Escape monthly subscription (April 2014) ~ Learn, Live, and Explore! Total retail value of the box is supposedly $60, but if you really think whether or not you would go out and buy this stuff, the value just wasn't there. Next month is California, so I'm going to give the box one more try, but it better be good for the subscription price - discounted or not! 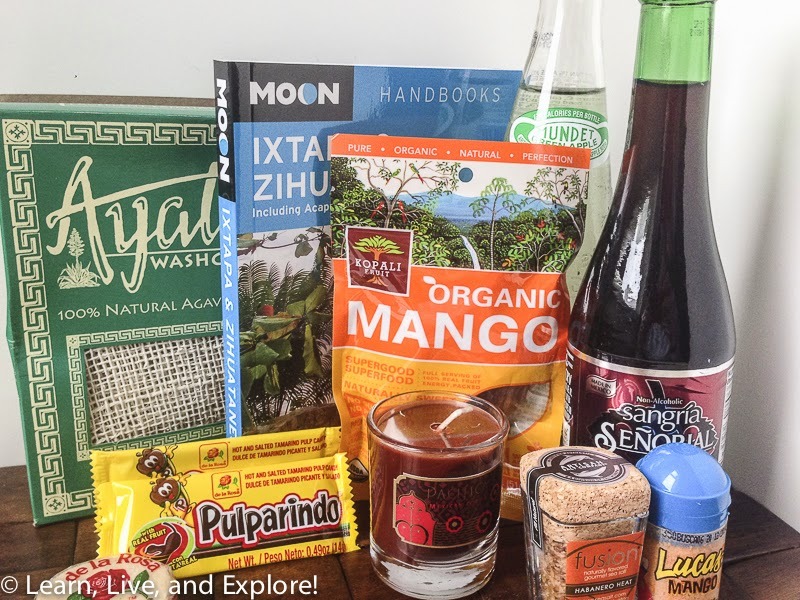 Escape Monthly is a travel-themed subscription box. Each month, the idea is that you will receive a destination-specific box with goodies from that country or city. In addition, each month, one subscriber will be selected to win a vacation to the current month’s theme destination. Escape Monthly will pay for the winner’s airfare from a major U.S. hub and two nights of accommodations, up to $1000. Winners are selected randomly.